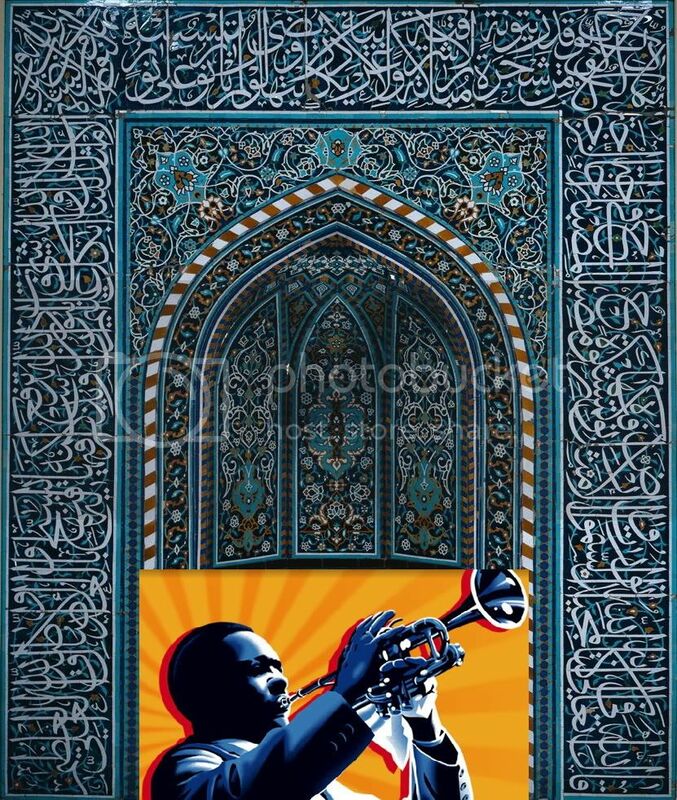 Jazz in Iran? Yes, and no! Once upon a time, before the 1979 revolution, when oil's money was overflowing, a Queen and some of her advisers had the idea of making the country more sophisticated, more prestigious. 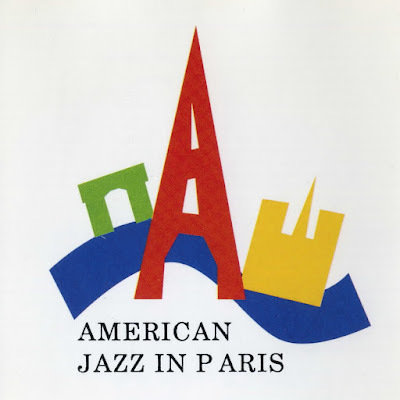 Thus, among so many decisions they made, one was inviting the jazz acts to the country. Of course, long before this plan that long before Harry 'Sweets' Edison, Pearl Bailey and Louie Bellson appear in Tehran's biggest amphitheater by that invitation, Duke Ellington and his Orchestra showed up in Isfahan, a place so amazingly beautiful that inspired Duke and Billy Strayhorn to embed all that beauty in one of the most majestic alto solos in history of jazz, Isfahan, as played later by Johnny Hodges. 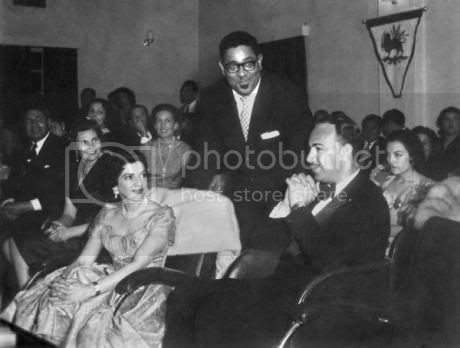 Dizzy Gillespie during the 1956 State Department jazz tour, at a reception with Princess Shams Pahlavi, elder sister of the Shah of Iran, and her husband Mehrdad Pahlbod (Later Minster of Culture and the Arts) at the capital of oil in Iran, Abadan. Also I've seen some very rare photos of Dizz with Shah's generals in a port in southwest of Iran, which a friend discovered in an antique shop in Florida. Everybody was coming to Iran, from Frank Sinatra to Karlheinz Stockhausen! Money was flowing and even if Frank Sinatra's concert in Jamshidieh Stadium in Tehran was a flop, it didn't stop musicians from visiting lavish, old, and rich Persia. Falling in love with the country was so easy, as William Wyler's host in Iran told me, "he came for a week long festival, and ended up staying for a month on the shores of Caspian sea and eating best Caviar in the world." Magic carpet was ready to give a free ride to everyone whose name was big enough to give credit to the country that was longing for that. What Frankie is doing with Shabaan the Brainless? Shabaan the Brainless was a notorious thug who had a direct role in American Coup d'état of 1953 that led to overthrow of Iranian first and last democratic government. According to the CIA's declassified documents and records, some of the most feared mobsters in Tehran were hired by the CIA to stage pro-Shah riots. In 2000, Madeleine Albright, ex-U.S. Secretary of State, confessed that intervention by the U.S. in the internal affairs of Iran was a setback for democratic government, but it was too late. 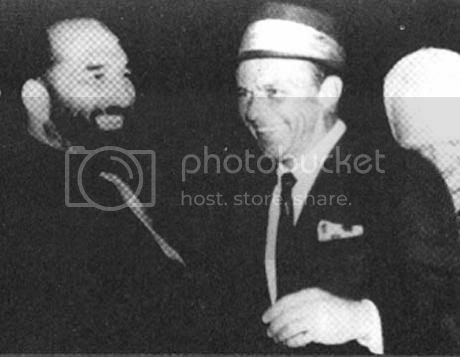 So Dizzy Gillespie and his big band was visiting oil cities, like a treasury minister, and Willis Conover's voice was in the air, as Hollywood films had their premiere in Tehran cinemas. Sundays, Jack Teagarden in a striped suite played good old jazz in national TV. The country was like a story from 1001 nights, a modern fairy land, where at days you had Peter Brook to perform in Shiraz, enjoying the best grapes in the world, and at nights John Cage was on stage, an artist whose musical ideas was even too much for the Western ears. 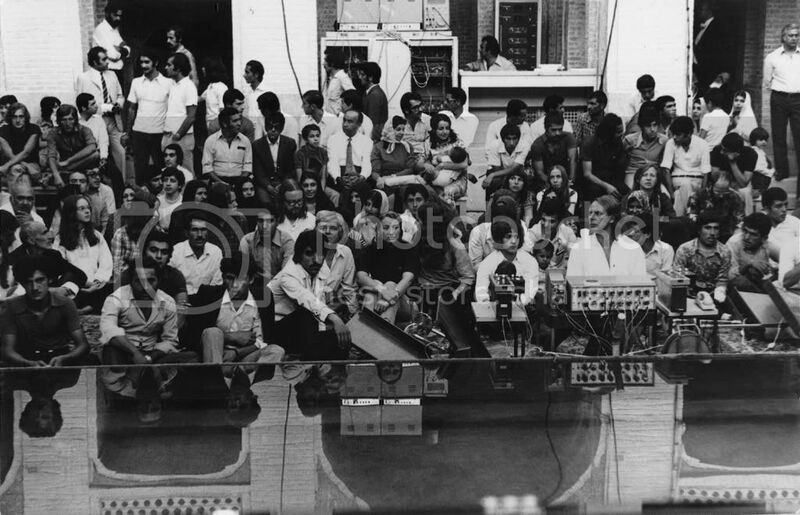 Karlheinz Stockhausen (front right) at the Shiraz Arts Festival, Iran, 2 September 1972. How many of these people understand what's happening, musically? Aloys and Alfons Kontrarsky, 2.9.1972, Shiraz. Among those who landed in Iran, there was a young American jazzman who had something else in mind. Please do not wait too long to continue. I want to read the rest of this intriguing story!